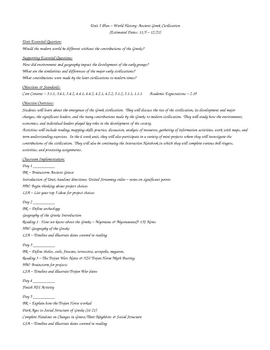 This is a complete unit plan with daily lesson outlines and all of the materials for the unit. Includes powerpoints with lecture, student activities, handouts, games, etc. Includes activities on Greek Daily Life, the Olympics, and the Legends. 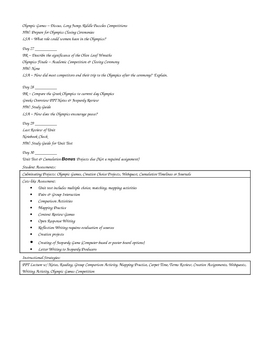 Student handouts and organizers, tests (general and modified) and bellringers and exit questions added.